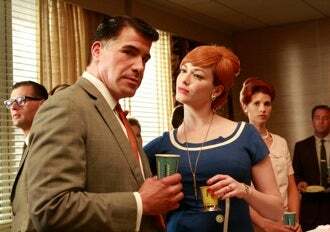 Once again, it's time for your Sunday night Mad Men fix. Tonight's episode is titled "The Jet Set," and it's centered around Don Draper's business trip to L.A. It's pretty safe to say that the L.A. sets and costumes will be awesome; let's hope the rest of the episode is as well. Thanks for another lovely weekend!